SIMBA DOMAINS Review 2019: Is SIMBA DOMAINS a Good Hosting? Simba Domains is a London-based domain name registrar and hosting service provider with a history of offering its customers cheap, affordable, and secure web hosting packages, dedicated servers, and VPS among other extras. Besides registering domains, Simba Domains offers a suite of hosting solutions including shared hosting, dedicated servers, VPS, enterprise email, website builders, and SSL certificates among others. Its servers are housed in secure data centers in the U.K., the U.S., and India. Simba Domains gives every customer the tools they’re comfortable with to create their websites. Newbies have access to a free website builder, customers with intermediate experience have the one-click app installer with 100+ scripts, while coders have access to Ruby On Rails, Python, Perl, and PHP 5.3x plus a host of tools such as Zend Engine and ionCube Loader. Nearly all of the hosting packages are e-commerce ready, meaning you can build an online store using Zencart, osCommerce, or Cubecart, then assign it a dedicated IP address, and secure with a private SSL. Simba Domains also offers hassle-free and automated website backups for your regular files and databases with the option to restore individual files or the entire website. Simba Domains takes away the hassle of monitoring website security with its premium SiteLock tool. It carries out automatic daily website/emails/app scans, identifies and fixes vulnerabilities, and at the same time neutralizes threats to your website. A number of other access and security options are available including password protection for directories, secure FTP access, anti-spam & virus protection, and IP blocking. Cloud hosting: This is suitable for customers who want full root access or administrative control over their Cloud-based servers. Shared hosting: With resources spread out, customers get a cheap but reliable space to host their websites and domains. Dedicated servers: This is ideal for anyone who wants dedicated resources for an online business, plus the freedom to install any OS. When placing orders, customers can view the pricing in six currencies including their local one, but payments are only accepted in British Pounds. 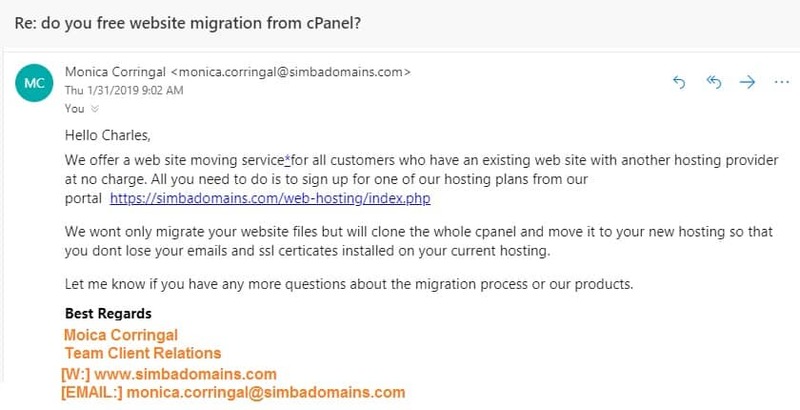 I reached out to the live chat support, which though appearing online, was offline, so I left a message for the support team and Monica Corrigal, one of their reps, got back to me via email saying they do assist customers with website migration. I’d advise you to check the knowledgebase first before calling or sending a message via the online messaging form on its website. Simba Domains has a range of cheap but reliable dedicated servers, VPS, and risk-free hosting plans. 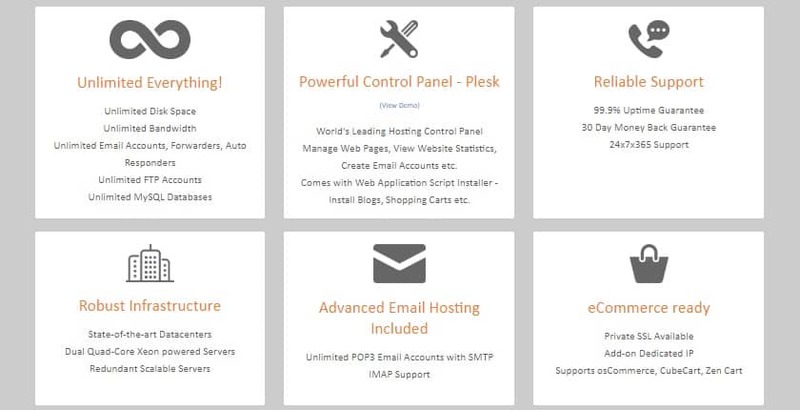 Wondering how SIMBA DOMAINS stacks up against other Web Hosting companies? Enter any other Web Hosting company and we will give you a side-by-side comparison.